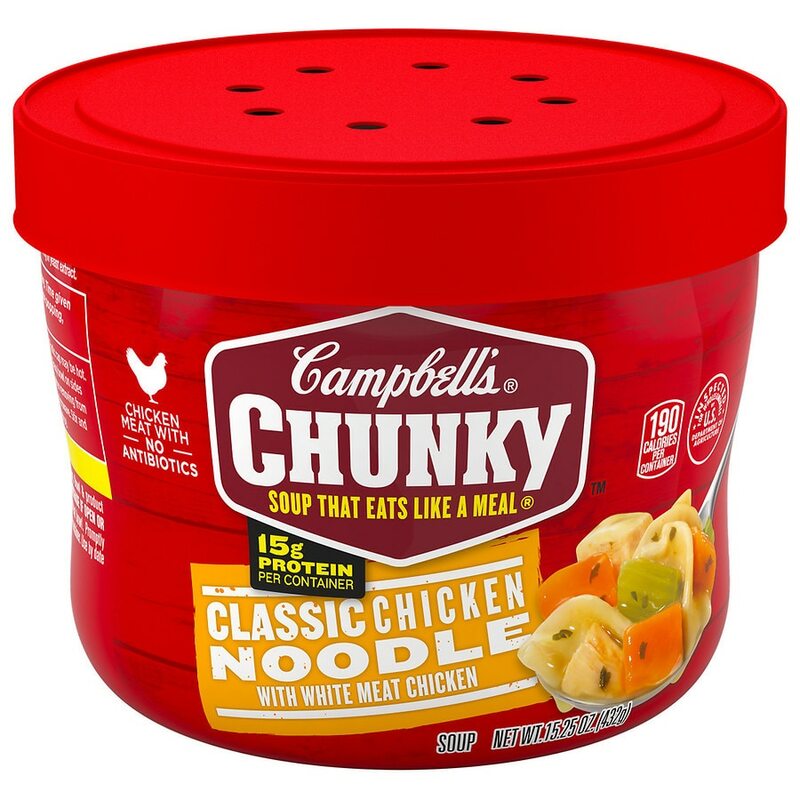 Campbell's® Chunky¿ Chicken Noodle Soup Microwavable Bowl works just as hard as you do. Expect bold, big flavors in every bite. Loaded with chunks of high-quality chicken meat with no antibiotics, veggies and hearty egg noodles, you¿ll fuel your everyday hustle and keep coming back for more. Satisfaction guaranteed. Microwave directions: Microwave ovens vary. Time given is approximate. Uneven microwave heating may cause popping, movement of the bowl and/or splattering. Careful, leave in microwave for 1 min. Note: After tasting, if you like warmer soup, replace cap and heat an additional 15 sec. Metal edges are sharp. Bowl and soup are hot after heating. Do Not Purchase If Open or Punctured. Do not reuse or reheat bowl.